I’m so happy to be back in the studio! I had a lovely Holiday break, time with family, lots of snow and thankfully, some serious peace and quiet. I’m rested and ready to get back to work. Aaron and I enjoying the snow in front of our house! I haven’t had the chance to paint just yet, so no progress pics to share. I figured it would be a good time to share some of my photos from the snow storm that hit just AFTER Christmas. Our house from the back side, in the snow! It was probably a good thing it snowed two days after Christmas, or our kids wouldn’t have been able to get home to Albuquerque! We were so happy to have all three of our sons, one DIL and one grandson down to visit for Christmas Eve and Christmas day. We had a great time playing “Cards against Humanity”, Jenga and “Speak Out”, a hilarious game everyone should play at least once! I haven’t laughed that hard in years! After the snow, when the sun finally started to peek out again! We had planned on hiking everyday during our vacation, but the weather had other plans. We did take a couple of hikes in the snow, but once it started to melt, the hiking trails were way too muddy! While we enjoyed hanging around the house and watching movies and reading, the dogs were less than overjoyed. Once the roads cleared up, (the mountain pass highway from I-25 to our house was closed for days!) we made a trip to Las Cruces and then to Cloudcroft to visit more family. I’m happy to report my art will soon be showing at a new Bakery/Coffee shop/Gallery in downtown Cloudcroft, Eight the Cake. 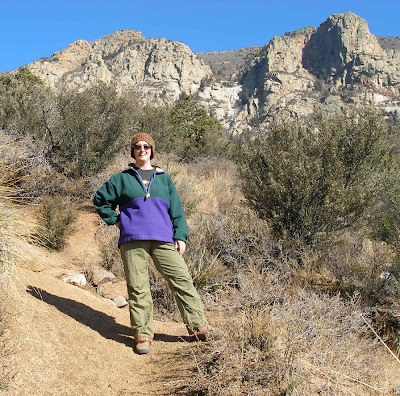 Hiking near the Mimbres River in the Gila National Forest. 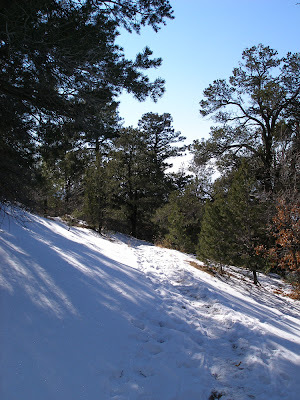 A couple of weeks ago it snowed here in the Gila National Forest. We had to go into town that day and while I was thinking, “we should take the long way home so we can see the snow”, Aaron was saying “do you want to take the long way home so we can check out the snow?” He’s really good at reading my mind. Not always, but sometimes we are just on the same wavelength! I can’t resist a texture photo! Plus, I like the footprint! Rather than coming home the regular way, we headed north on hwy 15 out of Silver City. It was so beautiful! Snow everywhere! We stopped a couple of times so I could snap pics of nature covered in the cold, white powder. By the time we got to the split with hwy 35 and started heading south in the Mimbres valley, the snow was gone and the sun was starting to peek out of the clouds. We decided then and there to stop at the Purgatory Chasm trail head. It’s a short trail very near Lake Roberts that we had never been on. I believe it’s a 1 mile loop. It’s one of those tourist type trails, short, level and gorgeous! About a 1/2 mile in there is a split where the loop trail begins. We picked the left fork and shortly after we came to the chasm. The rock walls seem to pop up out of nowhere and suddenly, you are in a very narrow, tall canyon. 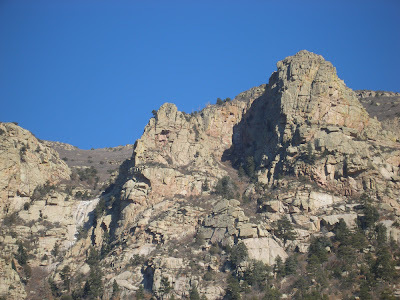 The rocks on the canyon walls form hundreds of faces! It’s almost as if you can feel the eyes of the ancient ones staring at you and hear their whispering as you walk through. We didn’t make it all the way around the loop trail. Somehow, we lost the trail and ended up looking down at the canyon. It was getting close to sundown, so we decided to play it safe and turned around to go back the way we came in. The sun/shadows make the rocks POP! Can you see the faces? That was about the time the sun came out and made the rocks really POP! So, even though it LOOKS like these photos were taken on three different days, it was all on the same day. You know what they say about New Mexico weather? Wait 5 minutes, it will change! Just for fun, I’m throwing in a photo I took at Emory Pass after the most recent snow on the mountain. I love the heart in the clouds! This is the heart in the clouds, taken from the look out at Emory pass. I’m really enjoying the process on this one. At first, I was trying to line up all the lines at the corners of every section. Then I realized how difficult that would be, so I just let it flow. Always a better option! The blue section represents winter, above that is the Summer section, to the right is the Spring section and the left is Autumn. I used color temperatures and symbols to represent the different seasons. As we transition from Autumn to Winter, color helps me stay upbeat and happy. I’ll admit, I don’t like the winter, but I’ve been working on finding things I like about the cold weather. May as well make the best of things, right? Things I like about Winter; Hot coffee, tea or cocoa, homemade hot soups, wearing my knee high boots, sweaters, cuddling under blankets with my sweetie while watching netflix, seeing snow on the mountain while being in the sun in the valley, covering up my middle aged, flabby body with winter clothes, aaaaaand that’s what I’ve got for now. Still working on my list! My favorite thing about Winter? Traveling to warm places for vacation from the cold! lol! My 2018 calendars are almost ready! They will be available for purchase VERY soon! Stay tuned! 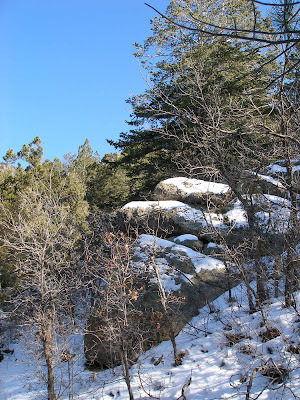 My blog post was bumped yesterday for a Valentine’s Day trip to the Peak of the Sandia mountains. It was cold, cloudy and snowy up there, but it was beautiful! If you’ve never been to Albuquerque, the Sandias are the mountains directly to the east of the city. It takes about 30 minutes to drive up to the peak. One of the biggest reasons we love Albuquerque! Usually, you can see the city from the peak, but yesterday everything was covered with clouds. This week I’m getting ready for my monthly open studio event. Every month, I open my studio to the public, along with some of the other artists here at Chroma Studios. It’s a great time to get a behind the scenes look at the where I work and what I do everyday. You might even get a great deal on one of my paintings! I have prints available too. The high windows are on either side of my studio, with one looking out onto Central Ave. and the other one looking into the reception area. Ah, Spring in New Mexico! So many varieties of weather available to chose from! Rain, wind, sun, snow! If you’ve never been to New Mexico, you may not realize that our state is more than JUST a desert! We have mountains and meadows, rivers and lakes, snow topped tundras and then there are the deserts. There is a reason the state motto is “The Land of Enchantment”. There is currently a storm front moving through the state that has dumped snow in the northern part of the state while down south, they are getting highs in the 70s and 80s! New Mexico is a VERY diverse state. Diverse in our landscapes, diverse in our people. Is it any wonder why I love it here!? There are Aspen groves alongside Evergreen trees, very TALL trees! Watching the weather report this morning, reminded me of a hike Aaron and I took a few years back. It was our anniversary, June 10th, and we decided it was time to head up to one of our favorite hiking spots. It is a summer only trail, as there is usually plenty of snow in the winter. Unless, of course, you have snow shoes! I’ve never been much of a snow lover myself, but NM also has some great skiing areas. 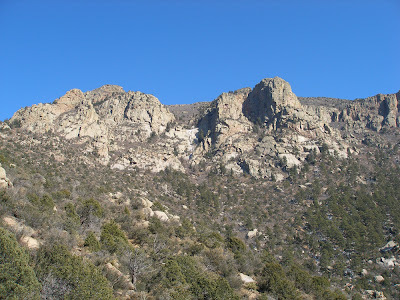 The San Pedro Wilderness area is part of the Santa Fe National Forest. A bit west of the Jemez mountains, just east of Cuba, NM and about a 1 1/2 hour drive from Albuquerque. It is almost always wet up there, but that year? We got snowed on! It wasn’t a heavy snow, but wet, and it stuck pretty well to the green grass. One side of Lake Gregario, such a beautiful sight! Let’s just say we didn’t make it very far that day. We were not prepared for snow and so we turned around and headed back down the mountain, after we sat and enjoyed our lunch in the falling snow! San Pedro Wilderness is a wonderful place! The trees are tall and there is a lake for fishing as well. The trail we usually hike is called the “Las Vacas” trail, which is Spanish for “the cows”. You have to be careful not to step where the cows have been, it can be pretty messy! At least there is a stream to clean off your shoes, just in case! Osa THINKS she is sneaking up on the ducks, but they aren’t fooled! Our dog, Osa, LOVES this wilderness! So many smells and places to explore. One of the best things about this trail is there are rarely any people on it past the lake which is about 3/4 mile up from the trail head. Osa loves this because she gets to run free without her leash! This forest is quite literally a rain forest. Ferns grow here and boy, the bugs are pretty bad! We have hiked to the top of the trail, the ridge that follows the tops of the mountains, and it almost always has at least an inch of standing water. It’s too bad we can’t transfer that moisture to other parts of the state at times. It’s green and lush and the meadows are gorgeous! Wildflowers abound in the late Spring and early Summer. 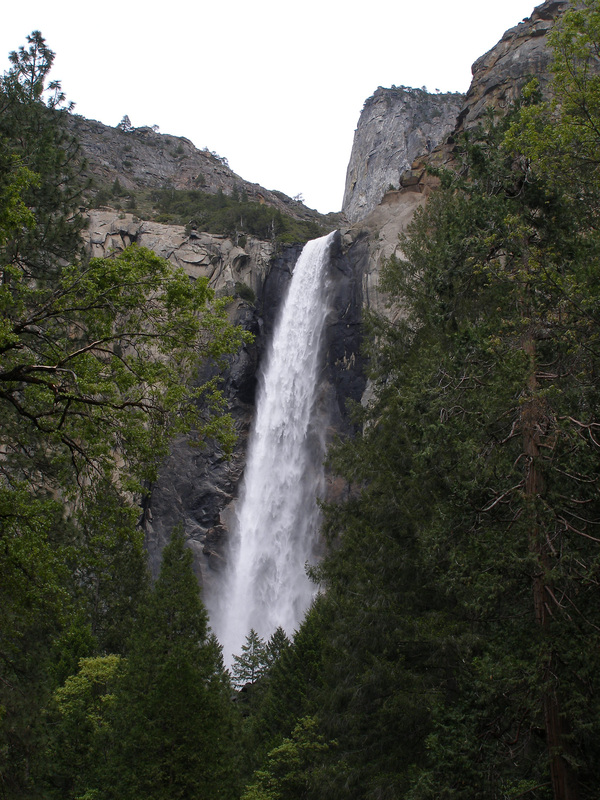 It’s a great place for camping, just make sure you take your rain gear and a waterproof tent! Last week Aaron and I went to California for our annual anniversary vacation. Aaron had a gig in Santa Margarita, California on June 2nd, so we planned the trip around that date. We left Albuquerque on May 31st and drove to Sedona, Az the first day. We had planned on camping in Sedona that night but quickly found that there was no place available to camp, not even a primitive campsite! It seems we are pretty lucky here in New Mexico. On our entire 2,500 mile trip through Arizona up through California to Yosemite National Park, camping is basically limited to KOA campgrounds or established National Park campgrounds which must be reserved 6 months in advance! Unfortunately, we are more spontaneous than that, in other words, we don’t plan that far ahead. We ended up staying in hotels all but our last night, when we stayed at the Williams, Az KOA. It’s one of the best KOAs we have stayed at, with the added bonus that they have a hot tub! Actually, TWO hot tubs! The second day we decided (spontaneously!) to head up to Las Vegas and spend a night there since we have never been. Now, if you know us at all, you know we have never had much desire to go to Vegas. It’s just not our style, we prefer to spend time in National Parks, camping, hiking and picnicking and if we do go to a city, it’s to visit museums, galleries or see the sights. Not that Las Vegas isn’t a GREAT place to see the sights! Anyway, we decided to go and experience it so we could say we did it. I have to say it was a lot of fun! 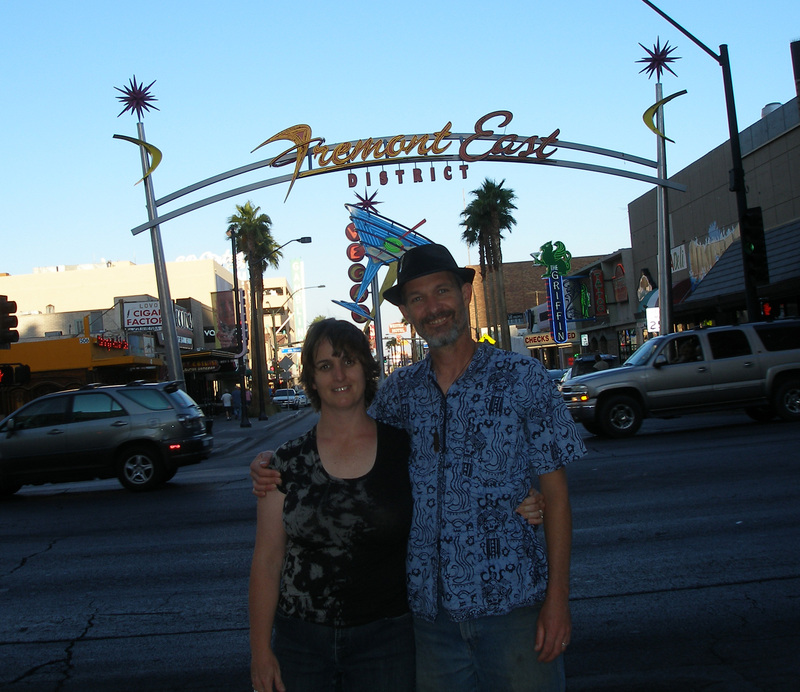 We rode the roller coaster at the NY, NY casino, rode a double decker bus down the strip, and walked back to the Fremont Street Experience. We stayed at the Golden Nugget hotel so it was perfect that there were live bands playing on Fremont Street. We stayed out until 3am dancing to 80s cover songs(my favorite)! Oh and we played $10 on the slots and walked away with $30! The third day was Aaron’s gig at The Porch in Santa Margarita, California. 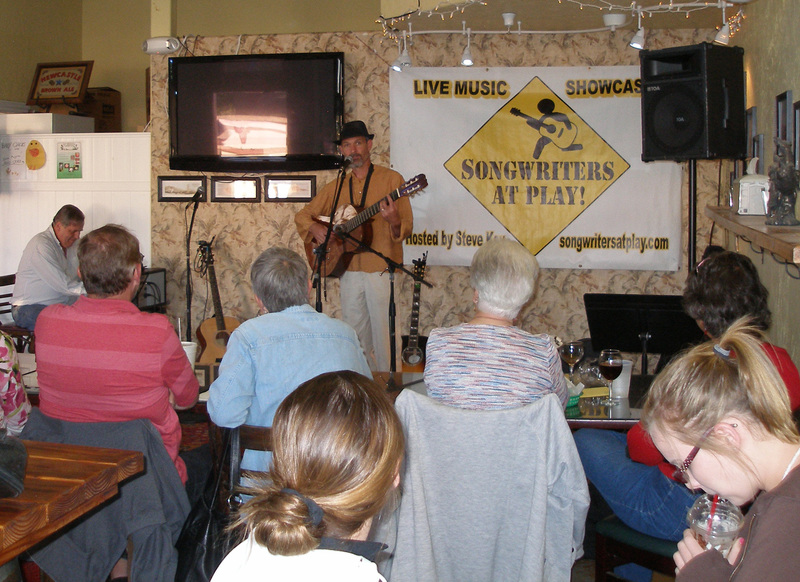 The place was packed and we discovered a couple of new musicians who shared the stage with Aaron. Jean Butterfield, Three Legged Sister, Don Lampson and another guy whose name is escaping me right now. Thanks to Laura Meyer for recommending it to Aaron. Everyone was very welcoming and the food was good too! 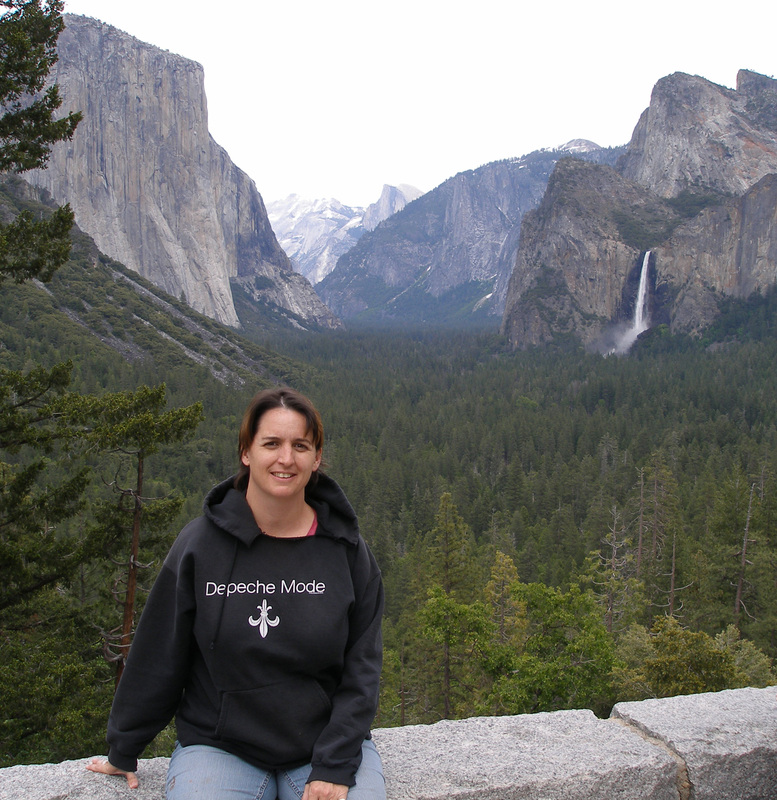 The fourth day we drove up to Yosemite. 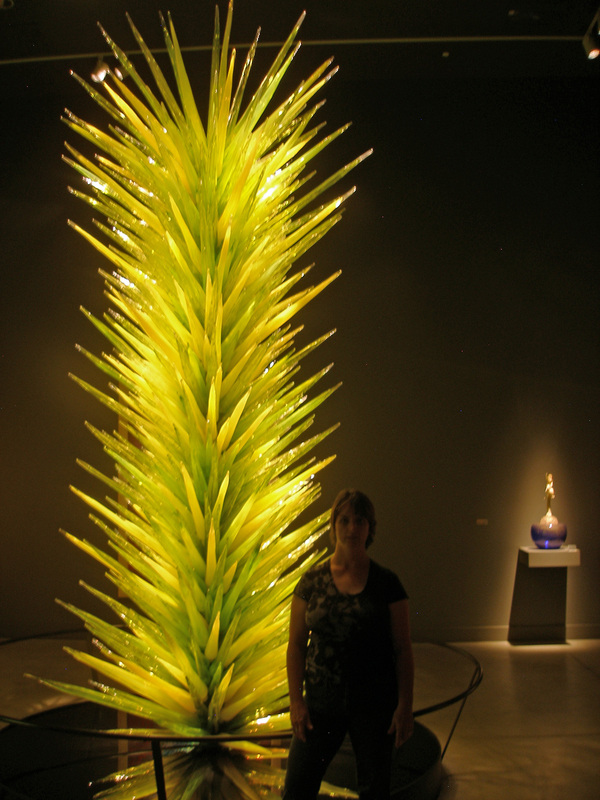 It was so amazing and awe inspiring, now THAT is my kind of place! I only wish we could have spent more time there. We had planned to camp, but there was not one single campsite available. 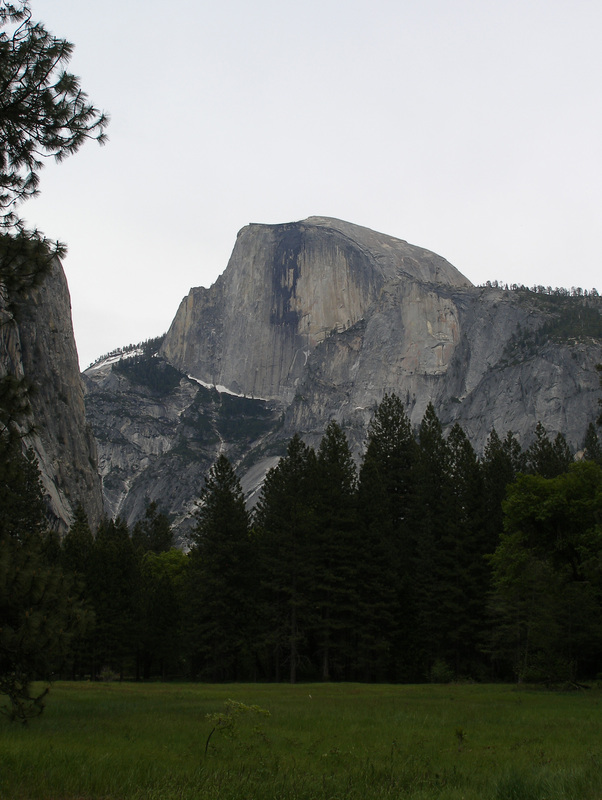 There were some tent rentals in the Yosemite valley, but there is no way in hell we were paying $110 to stay in a TENT! This is apparently what is called “deluxe camping”, everything is set up for you, you just bring your suitcase. I don’t know about that, seems kind of counter to everything camping is about! For us anyway, to each his own I guess. Turned out the pass we had planned on driving over to go home was stilled closed for the season, so we ended up going back down to Fresno to get a hotel room. When we woke up in the morning it was pouring rain and the weather showed snow up in Yosemite! We were grateful that we didn’t end up camping that night! Since rain was forecast for the next couple days, we decided to head home a day early. So we drove back to Williams, Az and then the rest of the way home the day after that. As always, good to be back home! Great Hike in the Snow! 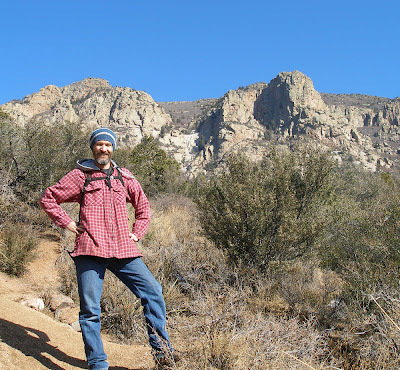 Yesterday, my hubby and I went for a great hike in the Sandias east of town. It was a little chilly, so we left around noon. The sun was out so once we got going it was perfectly warm. The cold air on the face was so invigorating that we made it farther than we expected. Ended up having to turn back because of the snow! For anyone not familiar with New Mexico, we DO get snow here! In fact, there are several ski areas in the state. The amazing thing to me is that we can hop in the car, drive about 5 minutes east of town and hike up the mountain to the snow in a couple hours. I think it is this fact alone that has kept us living in the city for so long. We are both nature freaks and if it wasn’t for the escape the mountains provide us, we would have moved away from Albuquerque years ago. Enjoy the photos! Today, I’m working on cleaning and organizing so I can get more work done this week! I have such a hard time concentrating on work when the house is a mess. That has got to be the main pitfall with working from home.